As soon as the plane landed, we went straight to the hotel and got ready to go to Twin Rock Resort in Igang. We rented a tricycle for the whole day so that we won't have to wait for public transport to get to the places we want to go to. 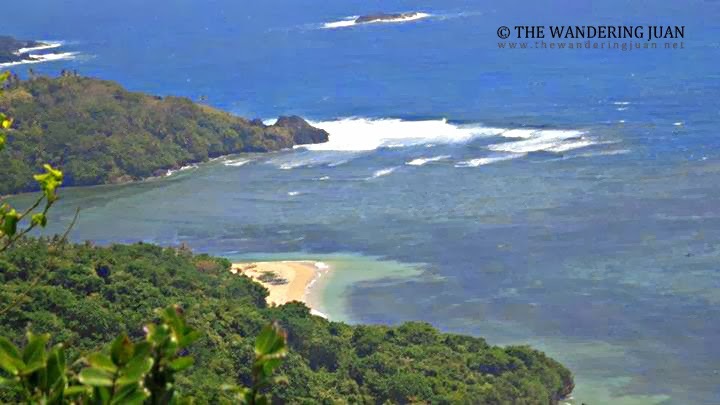 Twin Rock Resort was by far the most developed beach property out of all of the resorts I was able to visit in Catanduanes. I was surprised that there was hardly anyone in the resort. 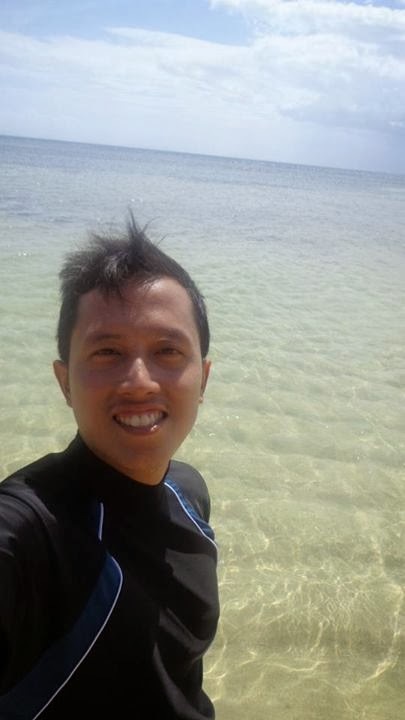 I explored the beach and saw the most prominent rock formations in the resort. 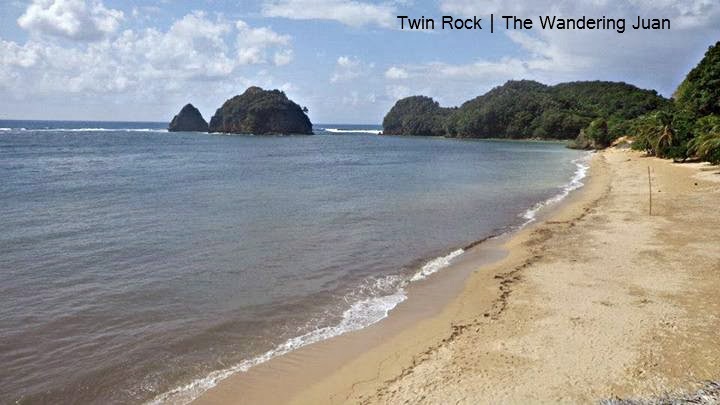 Twin Rock has an entrance fee of P50. There was also a zip line and wall climbing. 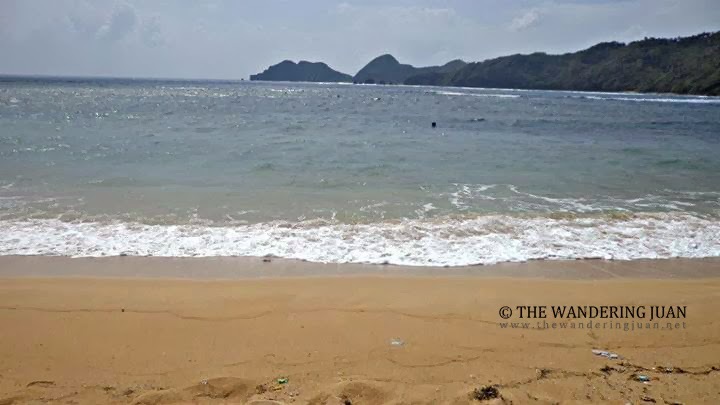 After visiting Twin Rock Resort, we decided to explore the unspoilt beaches in San Andres, Catanduanes. No people!!!! 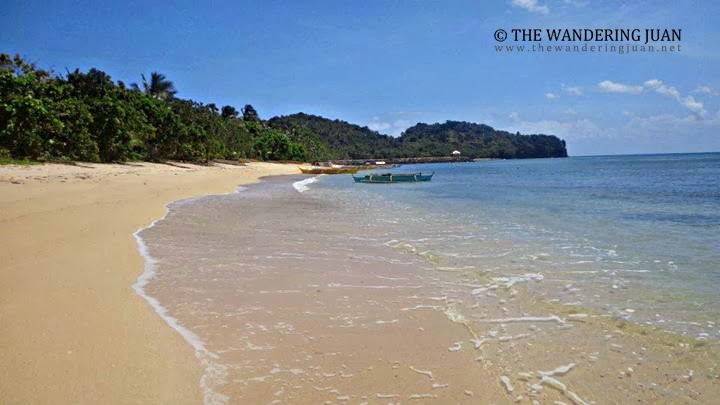 The cream-colored beaches and azure tinged waters were enticing. 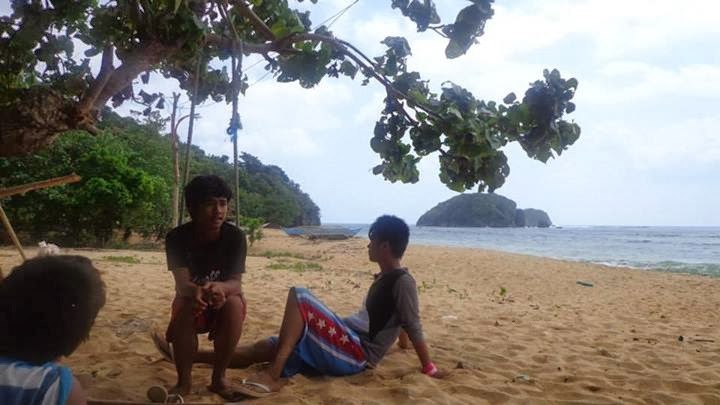 It was fun to just chill and hang out by the beach because there was no one else there. 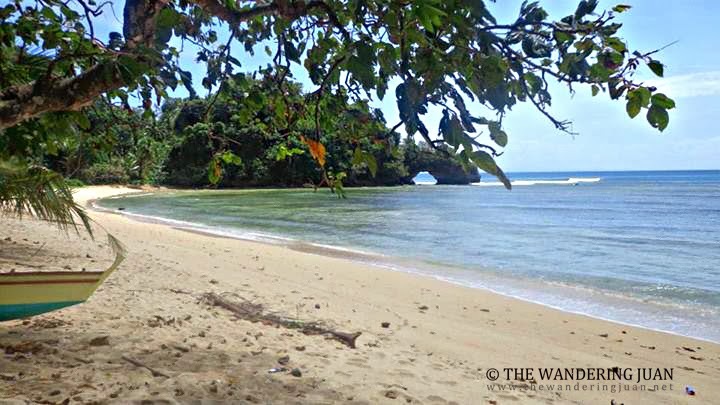 Batag Beach was right next to Marilima. 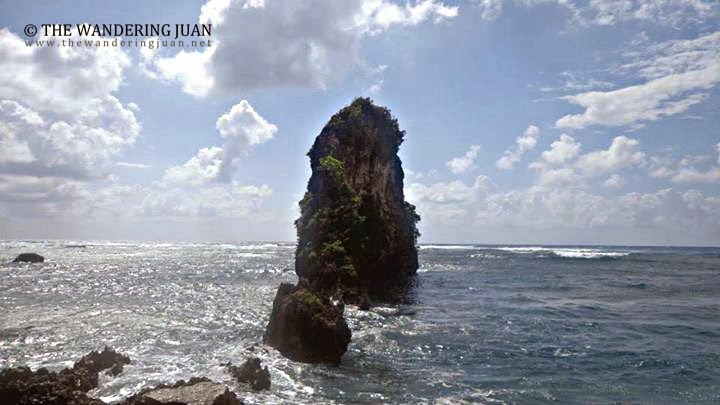 The arching rock formation is quite eye-catching. 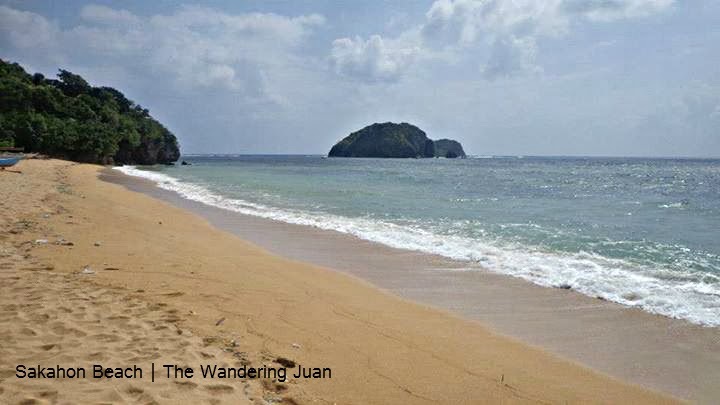 I'm liking Catanduanes thus far because of the empty beaches, clear waters, and cream-colored sand. While driving through the countryside, these trees caught my attention. 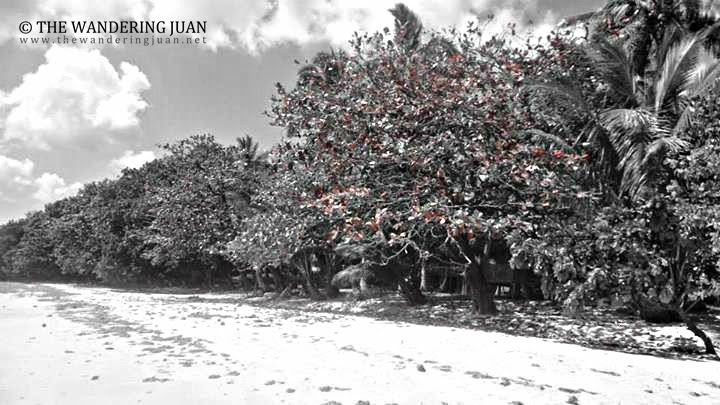 Mamangal Beach was my favorite beach in San Andres. Driving through rough road and coastal villages was worth it just to see the view of the beach. Just look how clear the waters were, and again no people! 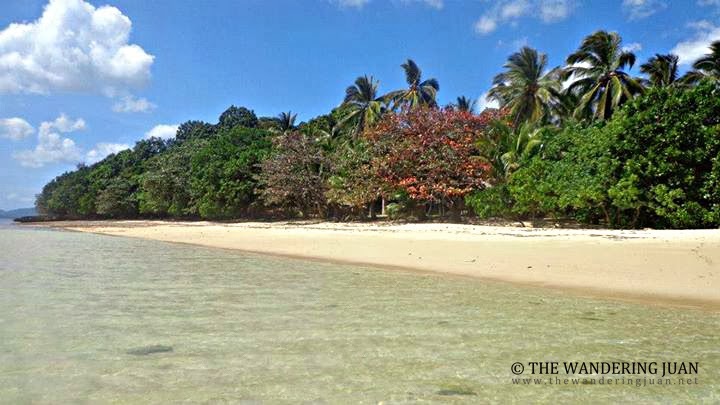 Cream-colored sand + clear waters + different colored plants and trees + no people = awesome time! Dipping into the cool waters was refreshing, especially after riding a tricycle for hours. 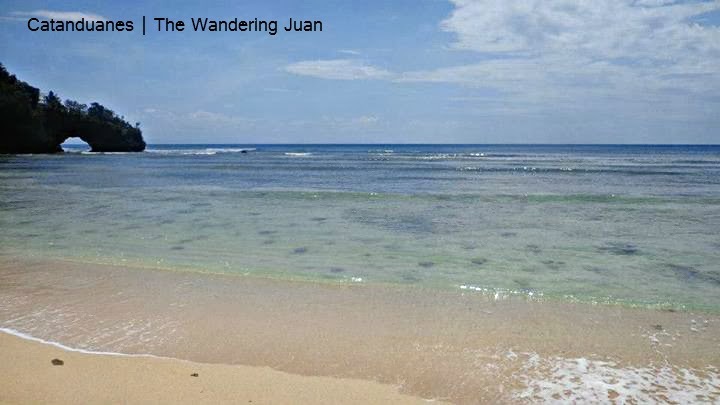 I couldn't help but just stare at the beach and the clear waters. 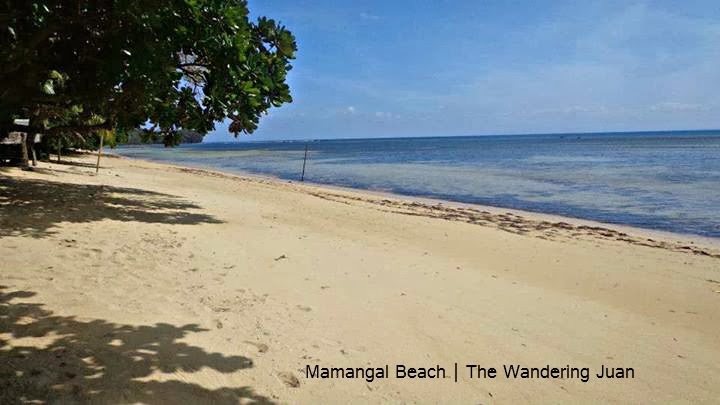 There are huts where you can stay in while on Mamangal Beach. 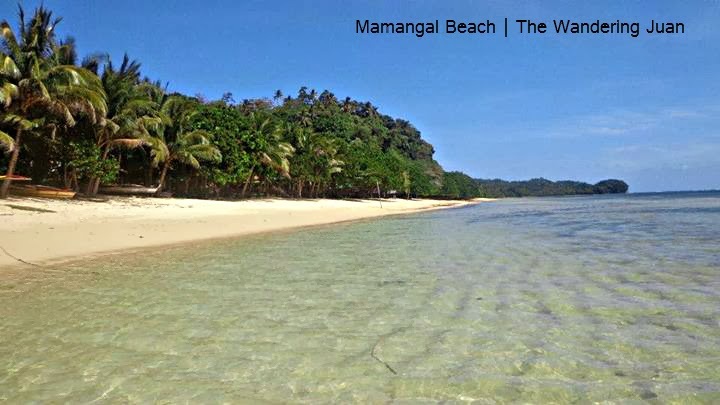 There is an entrance fee of P10 to stay on the beach. We made it to Amenia Resort on our way back to Virac. After paying the P20 entrance fee we made our way to the beach. It was low tide but who cares! 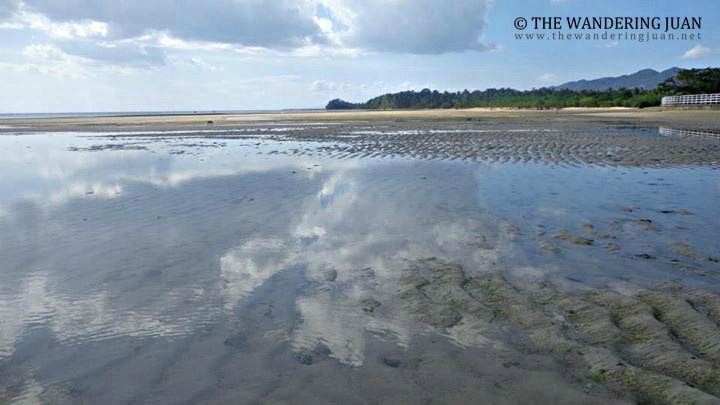 The receding shoreline created shallow pools that were picture perfect. The water was only below the knee, but quite cool despite the heat of the sun. 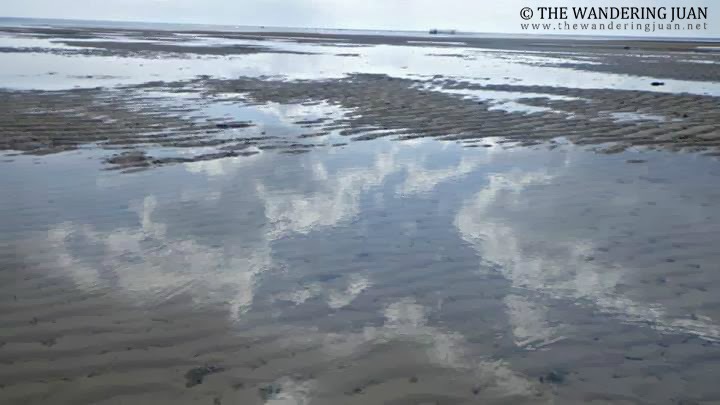 The beach seemed to stretch for miles during low tide. 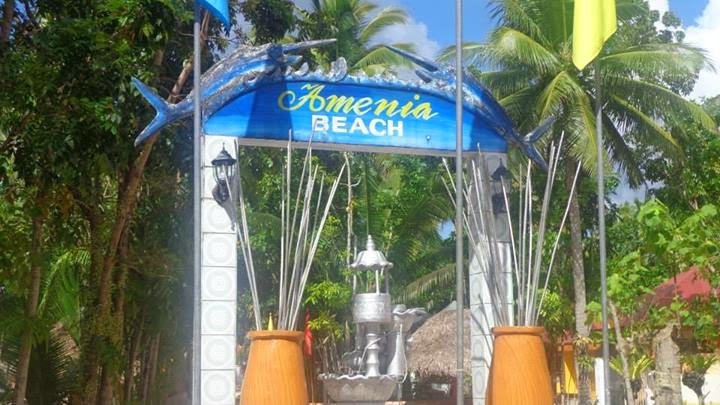 Amenia Resort's beach provided a good beach bumming experience. We were supposed to go to Puraran Beach on our second day in Catanduanes, but we missed the first jeep that goes to Baras. 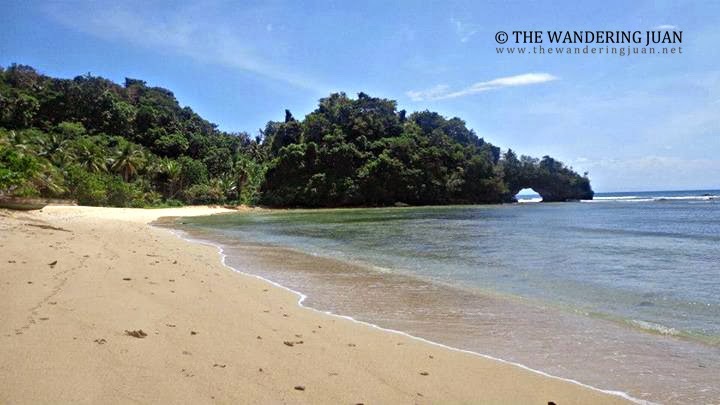 We didn't want to jeopardize our trip to Caramoan the next day, so we decided to go to another unspoilt beach in Bote. The locals told us that the islands seen in the distance resembled a crocodile. We ventured to Bato and found a driver that was from Bote. We went through partially paved and rough roads, and up a hill to finally reach the beach. 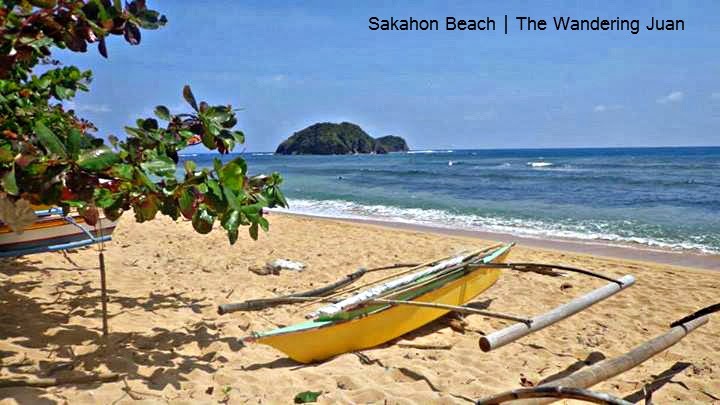 We made it to Sakahon Beach. 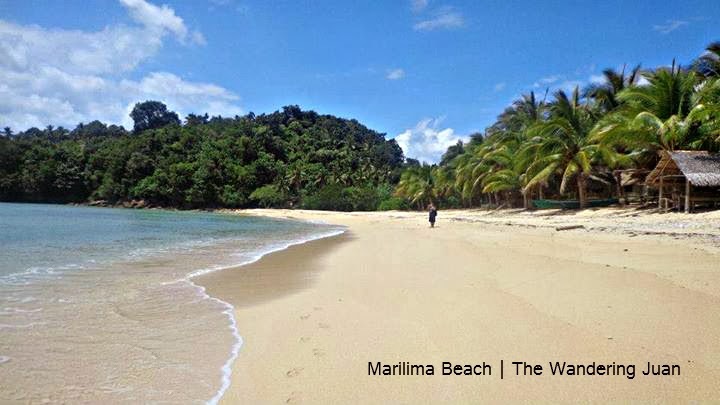 This secluded beach is hidden behind rough roads and a hill. 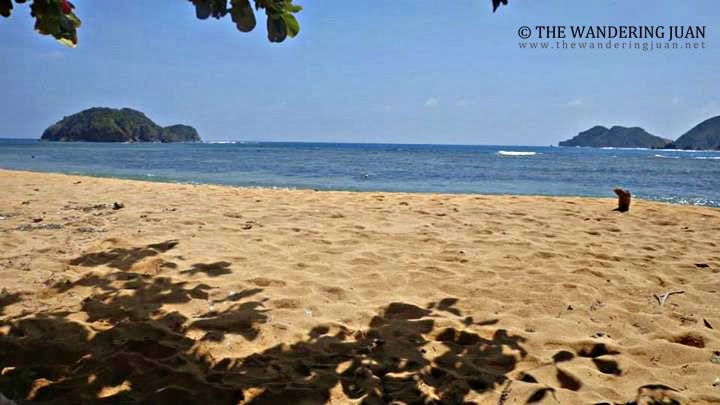 The golden beach was different from the beaches I've seen in Palawan. Again, very few tourists in this beach. We were in the company of teenage boatmen and fishermen. We were encouraged to venture into the islands in the distance, but the strong currents gave us second thoughts. Aside from the waves, there were also under currents. We couldn't wait till the currents settled, so we decided to go up the lighthouse to see the overlooking view of the beach. After a trek up for almost an hour, I finally made it to the top. The lighthouse was locked so we had to skirt around the perimeter of the fence to get a glimpse of the beach from above. 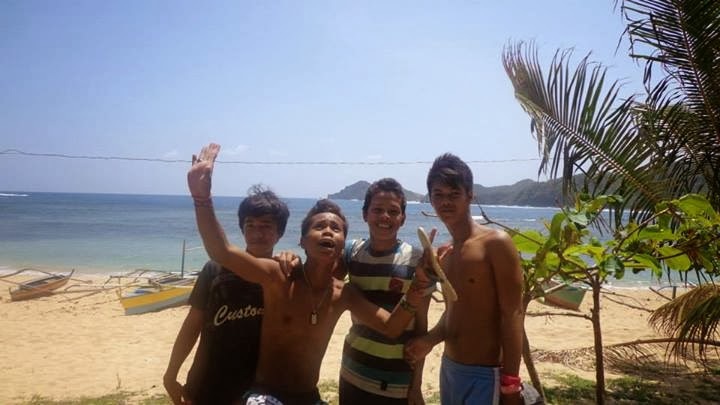 These teenage boatmen told us that they had to haul sacks of cement to the top of the hill to build the lighthouse. Going up and down the hill was a breeze to them because of the work they did. I had to catch my breath a few times when I climbed and went down the hill. Aside from my friend and I, there was a group of local tourists but most of the people on the beach were fishermen or boatmen. 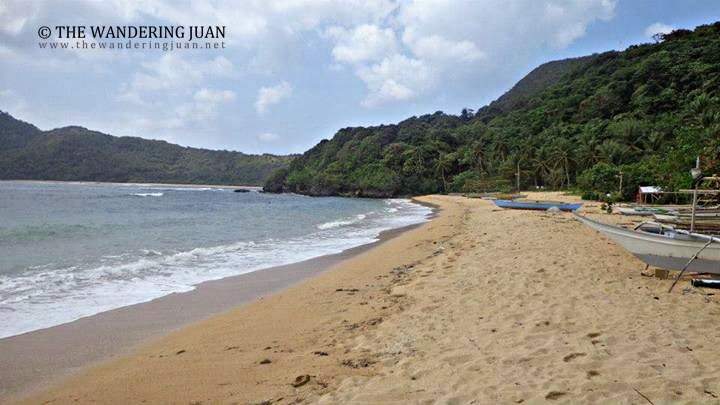 I am happy to have experienced the unspoilt beaches of San Andres, Catanduanes. 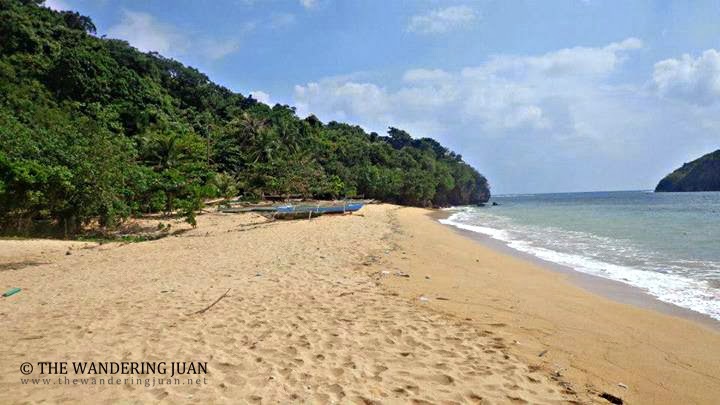 I am almost certain there are plenty of other beaches in the province that have yet to be explored or developed. All of the beaches we went to were connected by partially paved roads. I was surprised that the drivers of the tricycles we rented had limited mobility and traveled to another town for the first time. It was surprising that it was their first time to visit some of the tourist destinations in their own province, in the next village! 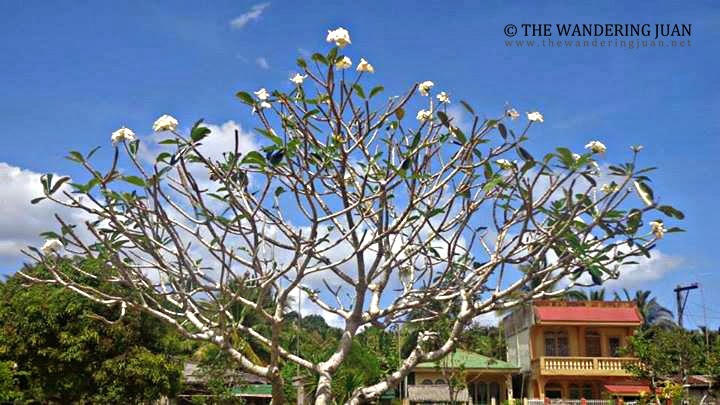 Some of the villages in this province are isolated because of the difficulty to get to them. Once it starts to rain, the rough roads become virtually impassable. The public vehicles that travel to the far parts of the province are few and far in-between, coupled with rough and unlighted roads at night, these lead to poor mobility. 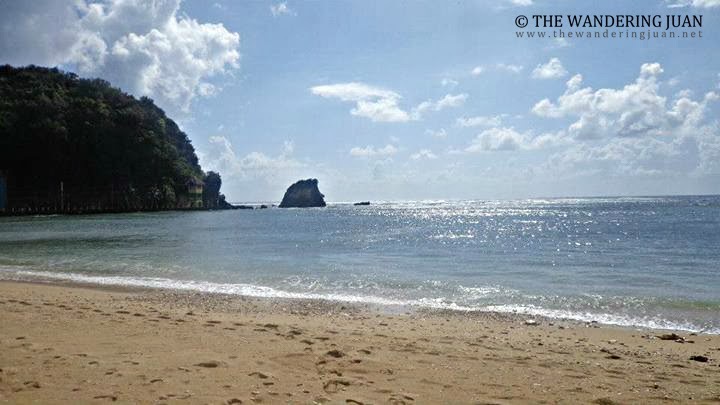 Going to the beaches in Catanduanes is difficult. There are very few modes of transport that go around the province. 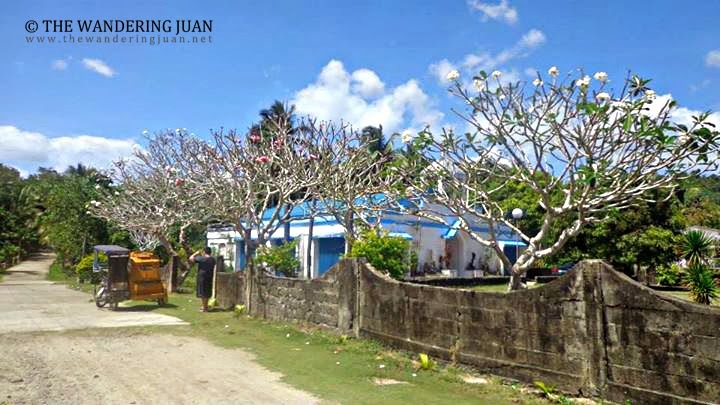 The most commonly used form of transport in Catanduanes is the tricycle, although there are jeeps, buses, and vans, their destinations are limited and they follow a schedule. 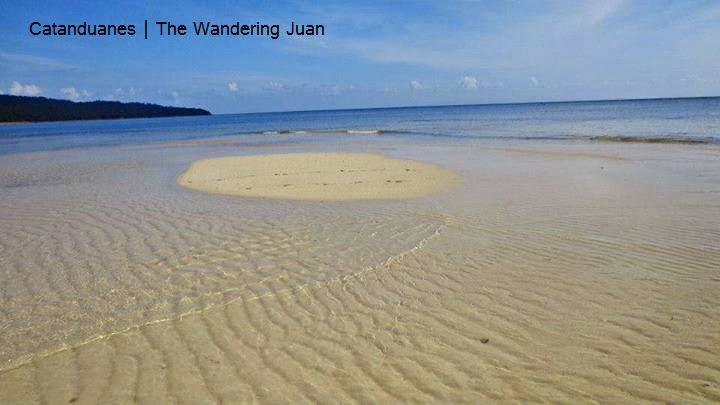 You are better off renting a tricycle for the day to get to these places. 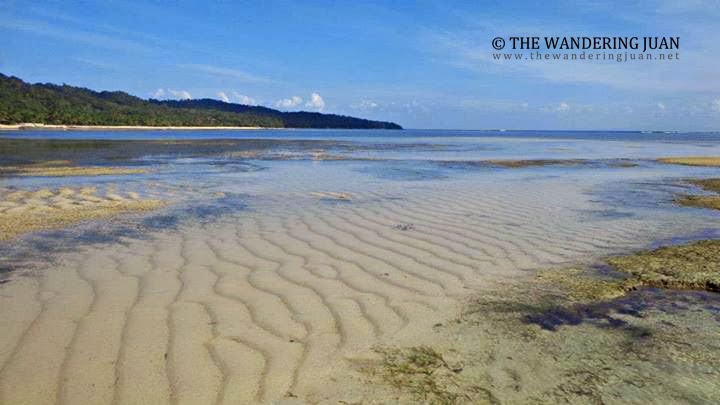 Most of the beaches are out of the way and would require a special trip to get to. 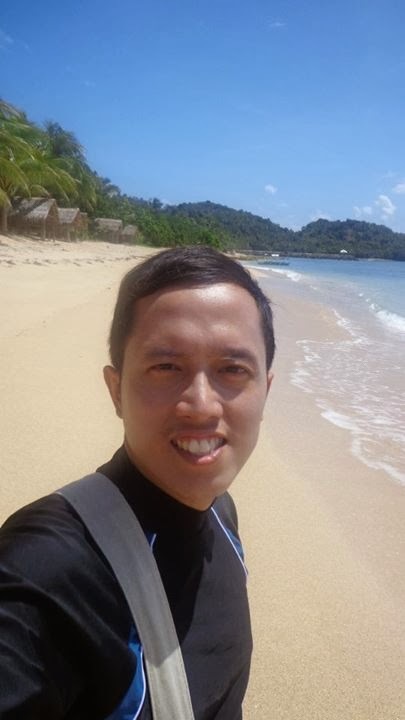 My friend and I rented a tricycle for P1000 for the whole day on the first day to visit the beaches in Marilima, Batag, Mamangal, and Amenia, and we also included Maribina Falls and Bato Church in the tour. We rented another tricycle for a half a day for P500 when we visited Sakahon Beach in Bote on the second day. This a place that is really worth visiting. 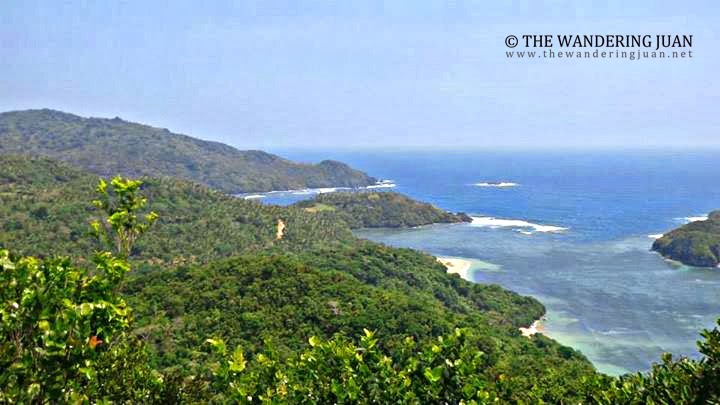 Instead of travelling abroad Pinoys should visit and explore our country first. 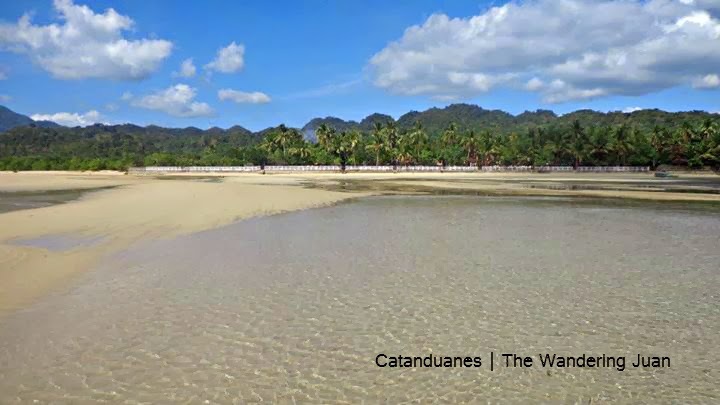 Catanduanes is just naturally beautiful and the beach looks so fine and waters complement the fine beach front. Wow! 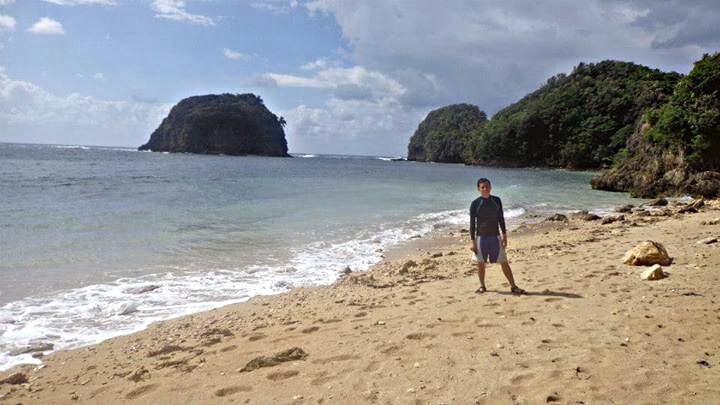 Catanduanes is something new for me. I Did not know that it has these beautiful places. Thanks for the post. 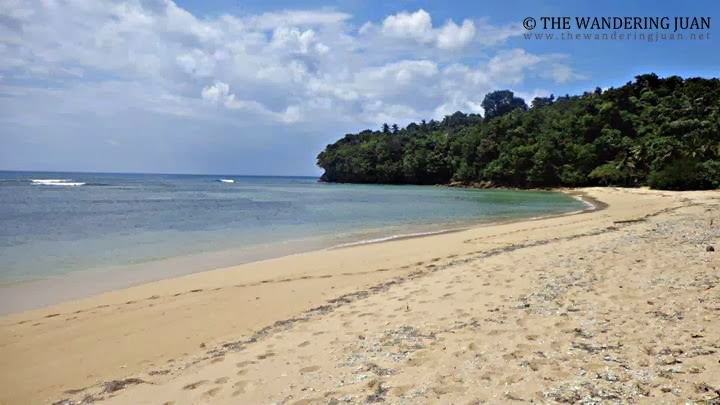 Secluded beaches are what most of my foreign friends are looking for. I would be sharing this to them. I have never been here and definitely will add this to my list for this summer. 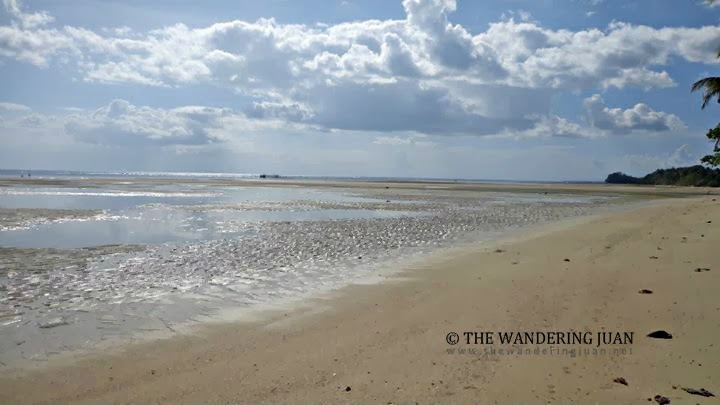 I think the place is really untouched yet or maybe let us consider not very popular yet to cause its clear water and clean sand to be occupied. I hope you had a nice stay here and it seems that you really had. As I feel the scorching heat of the sun, I know that summer is here. That said, this beach destination is good for friends and families to go to. 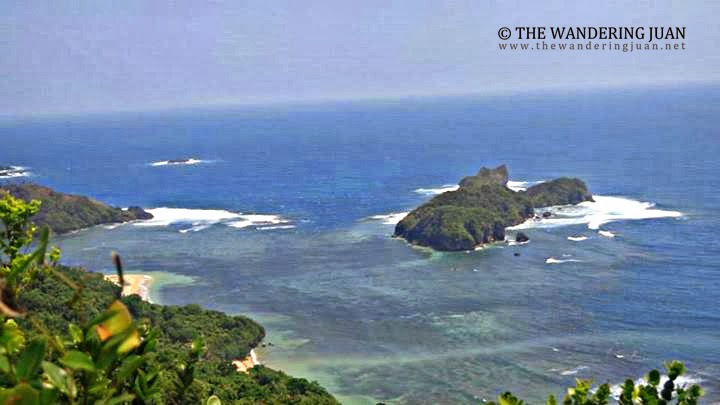 However, when you said that going to the beaches in Catanduanes is difficult, that may be a turn-off. So beautiful! 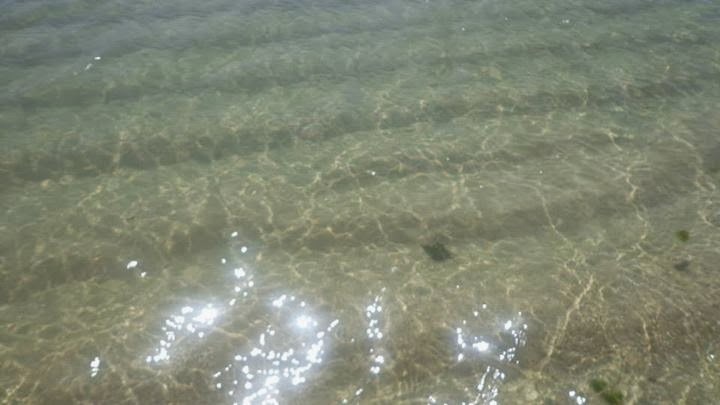 The water looks clear, too! I should visit sometime! 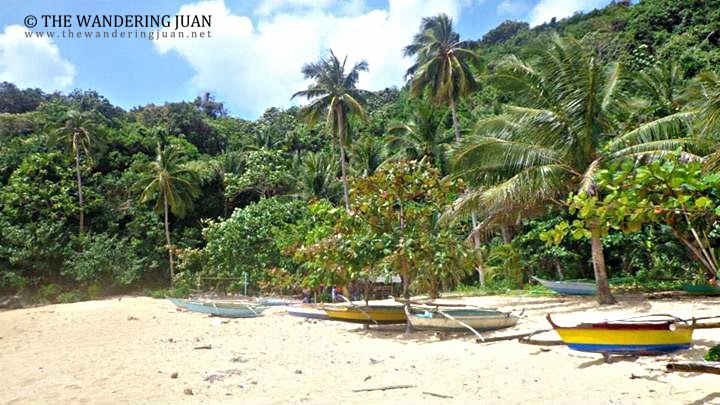 You should try Calaguas Island if you want to unspoilt beach! This place is added to my place to be visited soon. 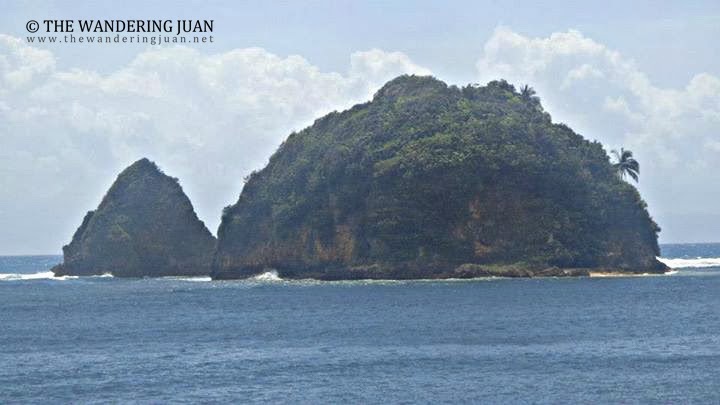 I envy you for having the time and money to visit beautiful places like Catanduanes. I hope I will be able to visit this place too. 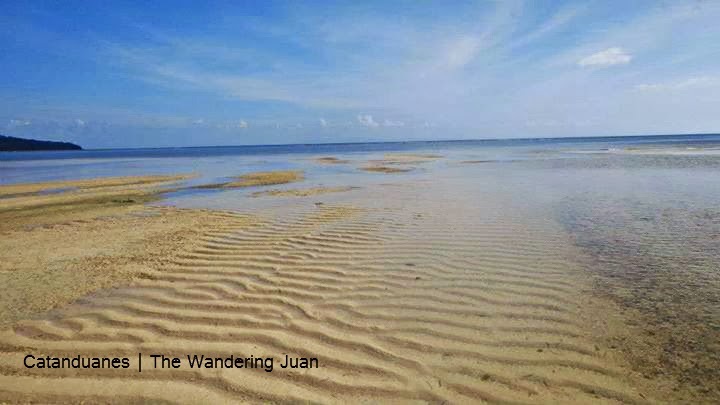 As a Catandunganon, I prefer our beaches to be just the way they are. Unadulterated virgin beach. It's like take it or leave it.